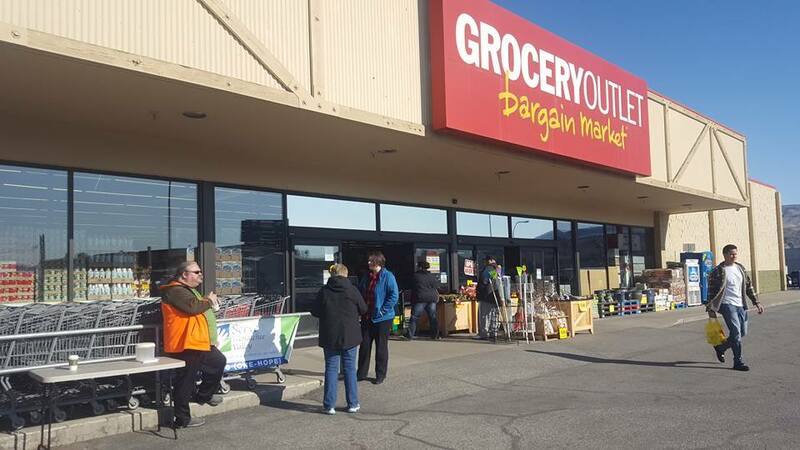 On Saturday morning, March 10th I found myself in a parking lot on S Wenatchee Ave. praying for God’s provision and preparing for a food drive at Grocery Outlet. The sunshine on that crisp morning held out hope for a beautiful day but I had no idea just how beautiful it would actually be. And the amazing thing is that it had little to do the weather. Just a couple of days earlier, several volunteers responded to a call for assistance to help fill 68 bags with items that we need in order to serve families at our food banks. On the day of the food bank, there were again a handful of volunteers who generously gave their time to help. Throughout the day we had the opportunity to interact with so many people from different walks of life as they came to shop as we simply invited them to support families with a gift of a $5 bag of food. One man came in and left the store with a bag of chips and gave us 4 bags of food to serve our food bank. Several times people came by not to shop for themselves but to just respond to a need. Repeatedly, there were expressions of appreciation for what Serve Wenatchee has meant to them personally and our community. We were there from 8 in the morning until 3 and about the midpoint of the day we had already gone through almost all the 68 bags we had prepared. Yet the bags kept coming out. I couldn’t help but think of the Gospel story of the multiplying of the fish and loaves. They just kept coming. Only later did I find out that the staff of Grocery Outlet was putting together extra bags to meet the generous response of our community. In all, we received over 140 bags of groceries that I promised each donor would find a good home. And it will. I guess the residual beauty I observed that day was the coming together of a compassionate community to respond to a need that couldn’t have just been orchestrated or planned by me. It was God leading our volunteers to give of themselves. The many interactions we had. And the people who will receive the support they need to help keep them safely home. It doesn’t seem like a big deal, but God has a way of take a few small things and making them big. What we collectively experienced on that day was something only God could pull off. Every day I discover that this is at the heart and mission of Serve Wenatchee Valley. Thank you to the God we find in generous volunteers. Thank you to the God we find in compassionate donors. And thank you for the God we find in those we serve. Thank you God.